Sometimes I am consumed with an overwhelming desire to cast on something new. This weekend I gave in to that desire-that is how I live on the edge of life. It gives me that roller coaster feeling, the one where you drop from a great height. The new shawl is knit from Manos del Uruguay lace containing a blend of alpaca, silk and cashmere. Oh so soft! I've started twice on this pattern. I did not like how tight the knitting looked on size four, so I upped the size to five. Chunky needles for me ;) Surprisingly, the pattern is one I can easily memorize, an added knitting bonus. The yarn is kettle-dyed and is beautiful. Yes...I'm reading the same book The Orchardist. It's been a busy week and my reading time has been limited. I'm half way through the novel and it's a captivating read. I'm going to be sad when I read the last page. When I was a teenager, I would try to purchase or borrow from the library the thickest books so they would last a long time. I think I still do that at times. My habit of judging a book by its cover has been decades old. Nothing wrong with that! Oh - your sunshiney shall is going to be dreamy! I would go for bigger needles, too, but only because I'm far too lazy and impatient. I've promised myself that I will read some of the things I have already before purchasing The Orchardist but I'm very tempted by it. I think the thrill of casting on a new project is one of the best feelings in the world and I am so glad you got to experience it this week. What a beautiful yarn, I want to order some myself and in that color too! I've found myself delaying finishing books because I'll be sad to be done :) When I figure it out I always feel kinda silly but what a compliment to the author. The yellow yarn looks so cheery. It will make a beautiful shawl. I am really excited about this book now. I know the feeling of not wanting a book to end. I always have to take a day to settle after a good book because they stick with me. I'm deciding right now to cast on an airy summer knit. Beautiful. I love that yellow color! I think that is funny that 5's are chunky needles for you! I don't think I have the patience to knit with small needles too often. oh, we are such soul-mates....in (late) jr high is when I launched into Les Miserables and War and Peace!!! (Obviously, both could use a re-read!!) Got tickled....yes, you really live on the edge (like me)---casting on yet ANOTHER something!!!! 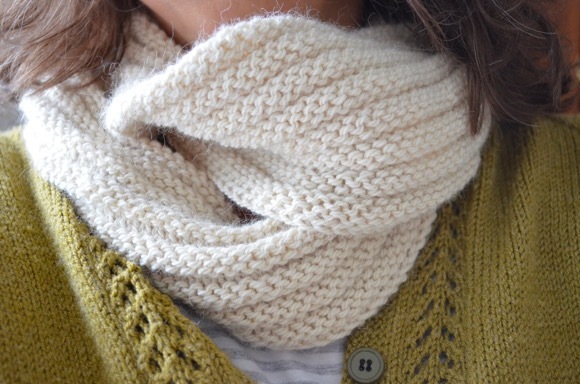 Yours is beautiful--as all your knits are! Happy week, friend. The Orchardist is on my "to read" list. Glad to hear that's it's a good one! Snicker...living right there on the edge! I have had my eyes on Luminaria, but I think I may follow your lead and do Citron next. The Orchardist is one of my favorite books read in 2013. Your shawl looks summery. Whoa! That's some serious lace knitting! i had no idea that they made lace weight yarn. i love that stuff. :) great colorway as well. Your number 5 needle is our 3.75mm!! 4mm is what I mostly knit with, and I really like the patterns that need 5mm or 6mm. I would be so slow with tiny needles, I am slow enough at it is! Your shawl is going to be beautiful. I'm reading The Chili Queen. I seem to be stuck on Sandra Dallas books. Such a pretty sunny yellow yarn. Your shawl will be gorgeous. I have lace knitting envy! I love your combo book/knitting photos. It's what my daydreams are made of. Isn't cashmere just divine? So soft, so luscious, so very feminine! I love the colour and the way the shawl is working up, I can't wait to see the finished product! It sounds like I will have to add this book to my ever growing list! By the way, I just adore your header picture - it is beautiful. It is so lacy and pretty. It is going to be gorgeous! Your book looks interesting too. I'm not knitting right now... just doing little crochet projects. I just finished The Glass Castle... it was really good! I *love* that yarn and can't wait to see the finished shawl (yellow is my favorite color). I judge books by their covers, too. I'm still knitting my lida shawl slowly because like you I've been busy. I'm still enjoying the process but like you am anxious to start another new pattern I can't wait to make. I've just started Salmon Fishing in the Yemen. Still early days only a few pages in but it seems like a nice gentle read. Very pretty knitting in the gorgeous sunny colour. Casting on, I'm very good at that! That yellow is heavenly, isn't it? I love the thrill of starting a new pattern almost as much as finishing up a project! I think I'm going to order that book because it appeals to me. Happy end of week and knitting. your work is so delicate and fine. beautiful. this looks like a good book to hunt down for my next read. i'm currently dipping into tim winton's book of short stories 'scission' whenever i get a moment. The knit is beautiful-love the yarn color ! Your book looks like a good read too. I too often pick books by their cover and have read some fantastic reads using this method. Oh, my goodness! 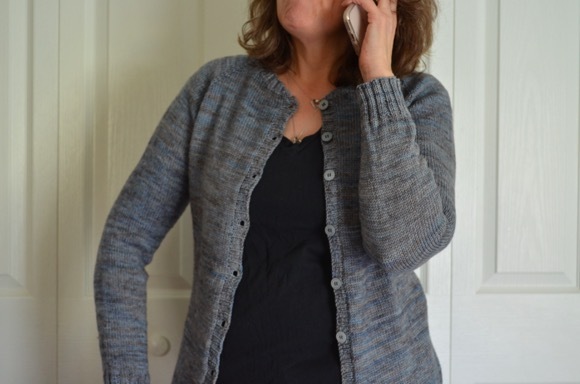 I just noticed this pattern earlier on Ravelry, Karen! This is going to be gorgeous! The yarn is luscious. Yes, I think that is why I wasn't so good at knitting. I was so overwhelmed with the desire to start something new, I never finished everything. A real knitter can finish a project- and that is that. That book looks good...putting it on my want list. Lovely yarn. Sometimes that knitting bug just bites and needs something new to satisfy the hunger. Looks like this will be a wonderful shawl. This looks like such an interesting pattern! I can't wait to see your progress. It is beautiful yarn - so light and sunny! Pretty pattern, too....it will make a beautiful shawl. I've just finished reading the Orchardist. I liked it. Some people give it bad reviews because it is wordy but I like that she takes so much effort to be exact in her description. Hope you like it too! I wanted to get The Orchardist at the library for my trip and got "The Orchard" instead. Matters not because even with all that time, I only read two books. I just finished Before I Go To Sleep by S.J. Watson, a real gripper, could not put it down!! I recently finished The Salt Road which was a great read. Our next book club book is The Fall of Giants which will take a while. I will be looking forward to seeing more of this shawl!